Offering a massive portfolio of highly efficient and high functional Air Purifier machines at the most reasonable rates, Olansi has been able to establish itself as the most sought-after provider of China Air Purifier systems and solutions. In addition to serving the domestic market,this company is holding regular exports to the international markets from around the world. This company has got the reputation for ensuring the qualitative standing of its products. The construction of the products involve the best ingredients and modern technology that makes the products highly efficient and buyers can expect the machines serve them the highest utility. The company has got a massive inventory of products and in addition to the standard options, the provider can customize the products as per the specific needs of the customers. Thus, approaching this company, buyers can expect to get an instant solution to their needs for the best Air Purification systems. The best part about the products of this company is that it comes within the most reasonable rates. Thus, investing in these products, buyers can expect to get the best value in return for their money. In addition, the provider operates with fair and transparent policies on return and refund that safeguards the financial interest of the buyers. “We are extremely customer-centric and for us, nothing is more important than meeting the satisfaction of the customers. Our company has achieved an almost 100% rate of customer satisfaction and in our belief, this is the key point of difference between us and other competitors. WE have earned the reputation for offering the most extensive and delightful support services to the customers and it makes us all the more reliable. Dealing with us, buyers are assured to get the best value for their money and make the finest experience”, stated the spokesperson. 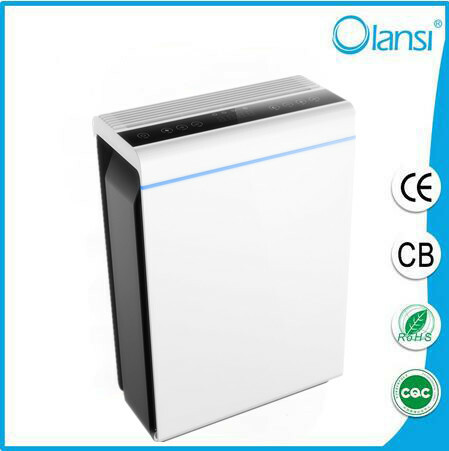 Olansi is a China-based manufacturer and exporter of Air Purification systems, serving residential as well as commercial usage.